DC Spoils End Of War Of The Green Lanterns… Again? This Time, Sinestro? Following DC July solicits for GLC & Emerald Warriors and the spoilers around John Stewart and Guy Gardner, DC’s GL Series 5 Toy news seems to spoil where Sinestro ends up at after War of the Green Lanterns? Why shade out Sinestro? Does Sinestro rejoin the Green Lantern Corps? Is he the new Green Lantern for sector 2814? Or perhaps he’ll join the Red Lantern Corps for some kind of redemption and to also help anchor the new Red Lanterns comics series? Sinestro has become a draw and could anchor a book. And there would be built in tension with Atroticus. Hmm. PK has confirmed that the Sinestro figure is a Green Lantern one as indicated at Toy Fair 2011. Check out this picture confirming that news. 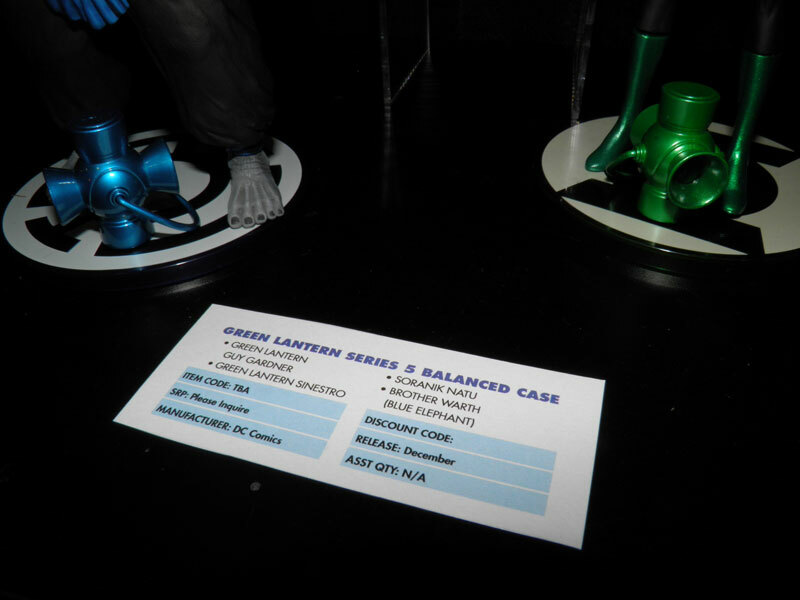 In addition, click here for more pics about GL-related figures from Toy Fair 2011. So, it sure looks likes Sinestro rejoins the GLC at the end of War of the Green Lanterns. Doesn’t it? Wherever he lands, the DC Direct solicit strongly suggests that Sinestro will no longer be in or lead the Sinestro Corps. Why else shade the Sinestro figure?